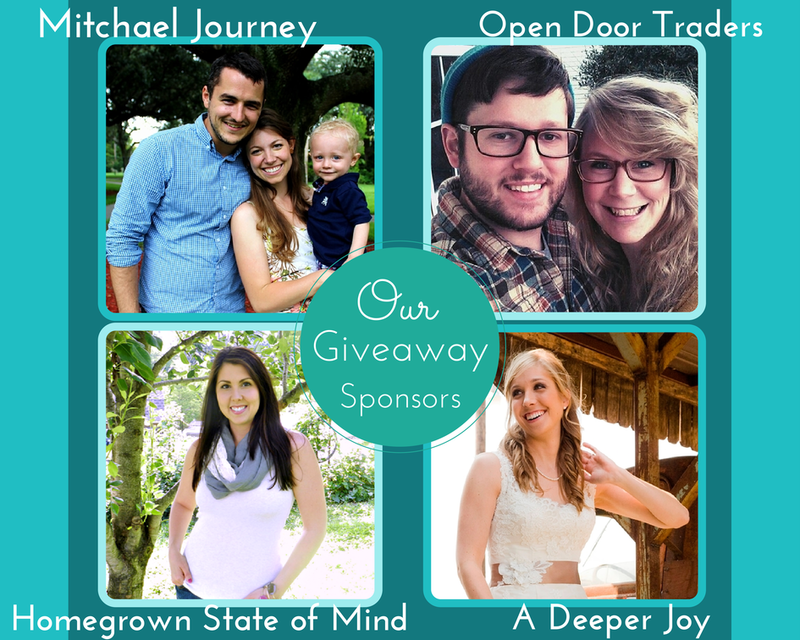 Homegrown State of Mind: 5 Reasons You Need Coconut Oil and a Giveaway! 5 Reasons You Need Coconut Oil and a Giveaway! Today I'm sharing an awesome giveaway that I'm co-hosting, but first, I want to talk a little about coconut oil and why you MUST start using it. Coconut oil is the oil extracted from the meat of mature coconuts harvested from the coconut palm tree. It is very high in saturated fats and contains antibacterial, antiviral, antifungal and antiparasitic properties. Basically, it's the most amazing oil out there. It comes solidified in a package or jar and melts at just warmer than room temperature. I could probably list 500 reasons why you need coconut oil in your life, but I'm narrowing it down to 5 just for you. 1. Cook with it/eat it. Because of its high saturated fat content, it is slow to oxidize, which makes it resistant to rancification. Did you know vegetable oils and even extra virgin oils can go rancid in the bottle you buy it fairly quickly? You may not even know your cooking with rancid oils. Coconut oil does not do this. It's also delicious when used as a cooking oil, or as a fat substitute in most any recipe. I love to mix it with almond butter for an extra treat. Don't be afraid of the words "saturated fat." 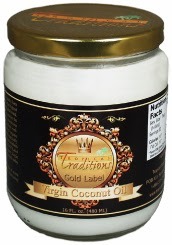 Coconut oil contains the healthy saturated fat that is essential to any diet. 2. Beauty. Coconut oil is the most amazing moisturizer! It goes on like an oil but doesn't turn greasy. I use it on my face, body, even in my hair for some added shine and moisture. It's also an excellent pre-shave oil. Looking for the fountain of youth? It might just be at the bottom of a coconut oil jar. Don't waste money on chemical-laden, fancy-named anti-wrinkle creams. Try coconut oil. 3. First aid. Because of its antibacterial, antiviral, antifungal and antiparasitic properties, coconut oil is the perfect first aid ointment out there. I've used it on cuts and scrapes and it works better than Neosporin or Cortizone cream! It can also be used for teething babies to help with sore gums, used as a super-sensitive, no-chemical diaper rash ointment, and used as a carrier oil for all essential oils. 4. Oil pulling. First, if you don't know what oil pulling is, you're missing out! It's the process of putting an oil, like coconut oil, in your mouth and swishing with it for 20 minutes. It "pulls" the bacteria out of your gums and mouth, and when you spit out the oil, the bacteria and germs go with it. Words cannot express how wonderfully clean my mouth is now that I oil pull with coconut oil regularly. No bad breath, reduced plaque, super clean feeling - it's even helped my sinus troubles. It may seem a bit voodoo, but oil pulling should be taught at every dentist office out there. Save your teeth and try it! 5. Pet health. Coconut oil is not just for humans. It can benefit your furry friend too. I've been giving a tablespoon of coconut oil every morning to my dog for several months and I can tell a huge difference in her coat - it's super shiny and no itchy paws! Also, she had a bout with acute pancreatitis last Christmas, and her recovery was slow. But I started adding coconut oil and changed her eating habits a bit, and remarkably, her pancreas/liver bloodwork is better than normal now! Cats can also benefit, as well as other pets. Check with your vet first, though, before giving your pet coconut oil to eat. I LOVE Tropical Traditions Coconut Oil. It's my favorite brand, as it's the most pure I've found. 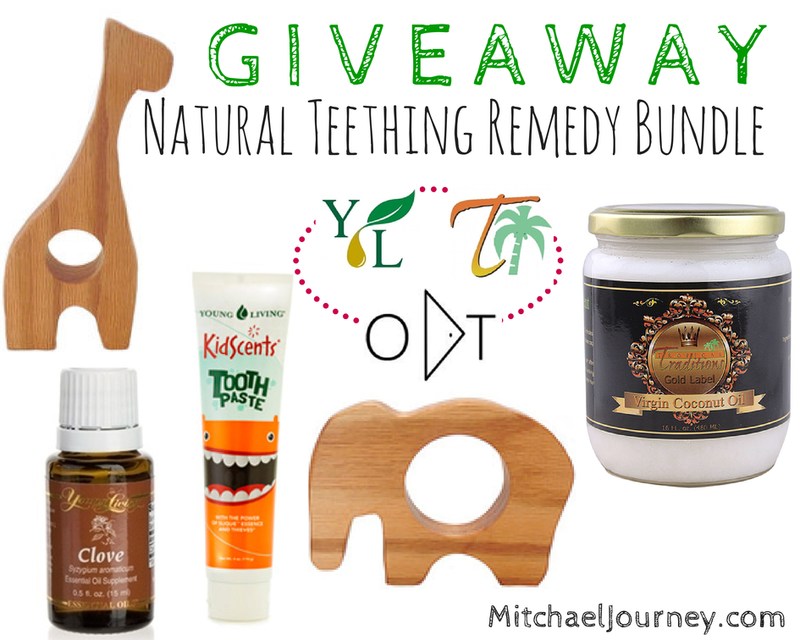 And since I love it so much, I've collaborated with three amazing bloggers to bring you a natural teething remedy bundle giveaway including a jar of coconut oil and Young Living Essential Oils! Check out the details below! Good luck! Great tips! I love oil pulling. I swear it got rid of a toothache I had :) I need to try the other uses! Such good tips, I'm a fan for sure! Using it as a hair mask is my favorite way to use it, and I'm working on the oil pulling haha. How do you give it to your dog? I'd like to try it with ours too. Coconut oil is awesome. I use it to make cookies & they are the biggest, fluffiest, & most delicious cookies. Coconut oil is great! I use EVCO + some essential oils as a night cream! I've been looking for different ways to use coconut oil! Great idea to give it to your dog. Do you just put it in their food or what? I would love to win coconut oil!! !